2019 Predictions — Little Bird Event Co.
As we wrap up the year, I always like to reflect on the past twelve months - where we have been, what we have seen and helped create, and what styles might carry through to the coming year. As I reflect, I also create Mood Boards for 2019, and the predictions of what to come. This comes with lots of research, hours scrolling through blogs and social + chatting with fellow industry professionals to see what they think is also coming down the pipeline. After doing all of this research, I wanted to share with you some 2019 Wedding Design Predictions. The more the better! In the last few years this idea has really come to light, and I only see it being elevated this coming year. 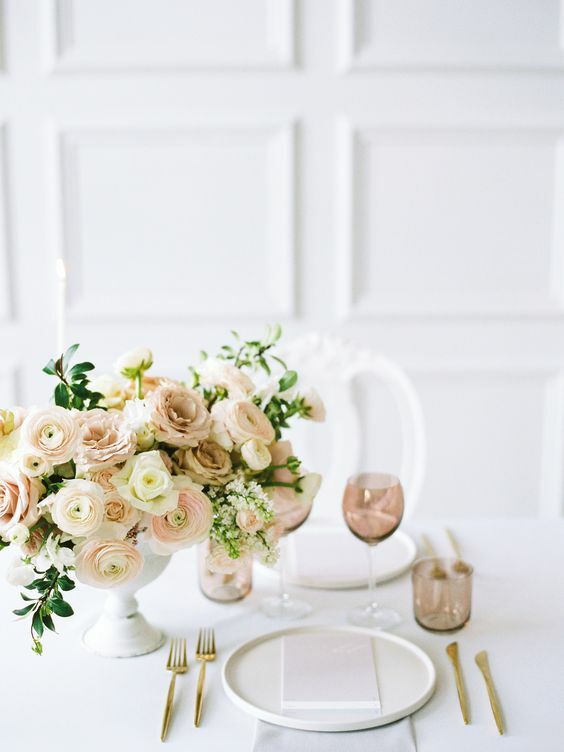 From Bridal Gowns to Table Linens, there is no shortage on texture. We love the ruffles on gowns, the silk napkins, the silky paper styles, and the mixture of textures with wedding florals. Guests love to not only look, but also feel - it really adds to the overall experience. I’ve said this before, but I will say it again - minimalistic is my favourite look, and it leaves your guests feeling welcomed and warm. The mixture of greens, with clean linens is the definition of simplistic elegance. By keeping things simple and natural looking, it really is such a statement - less really is more. More and more couples are opting to go down this route, and I could not be happier! Ceremony Backdrops have quickly become something that really stands out to me. 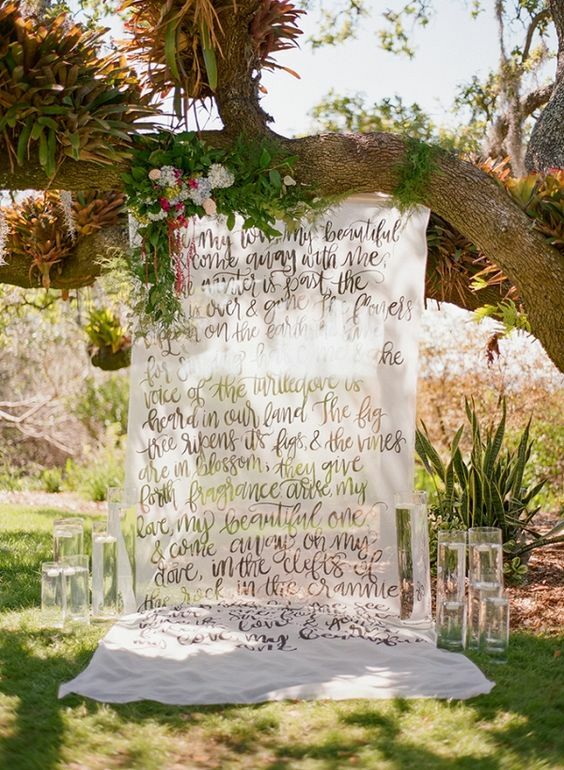 If you are opting for a Ceremony outside of the Church, there is certainly a lot more freedom to create some really amazing backdrops. Between the florals, to the arch styles and shapes, these are sure to be a showstopper, and something your guests will truly remember. I don’t know about you, but I am loving everything about it! 2019 is going to be full of lots of fun things - I can just feel it! In addition to the items I mentioned here, I also see a wave of colour making it’s way back into weddings, and these surprising pops of genius just make the day that much more fun. A bold pop of yellow, or emerald green, or even the Pantone Colour of the year, Coral, I look forward to seeing couples use these colours to create a special atmosphere your guests won’t forget! Each year wedding styles change, but what I always love is how a couple can take an idea, and make it entirely their own - personalizing special details that guests are not to miss. 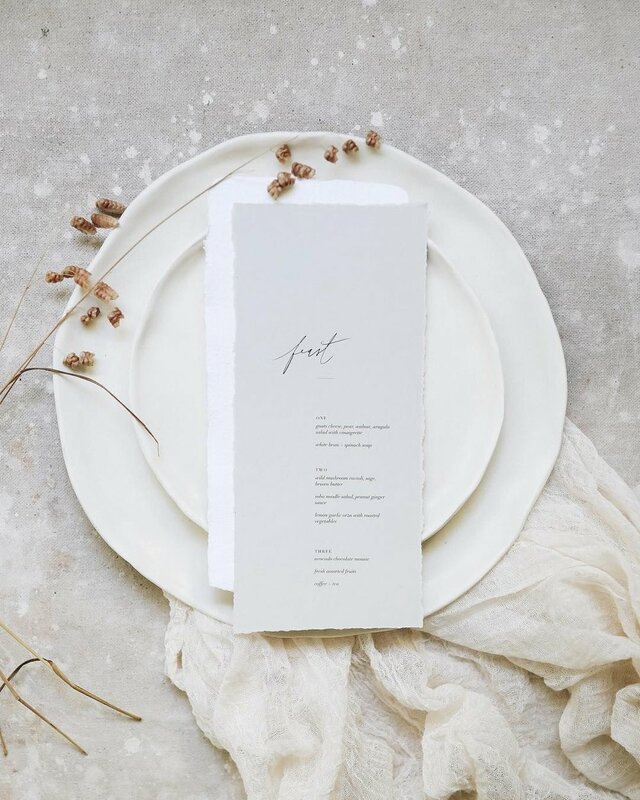 Create a special monogram or graphic that can be carried throughout your wedding - from the invitations, right to your cocktail napkins, keeps things consistent. Be true to you! This is one of the first things I say to my couples, and watching them stay true to this belief throughout the process makes it that much more special.